What you'll need: Grey thread, Needle, Pliers, Scissors, 1/2" cone studs, silver chain, ruler, white chalk pencil or tailor's chalk. 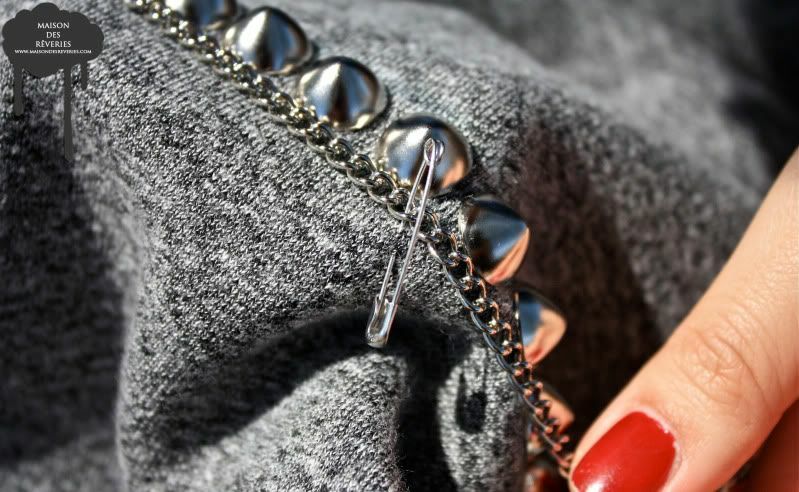 Try to use a chain that has links thick enough to thread a needle through. 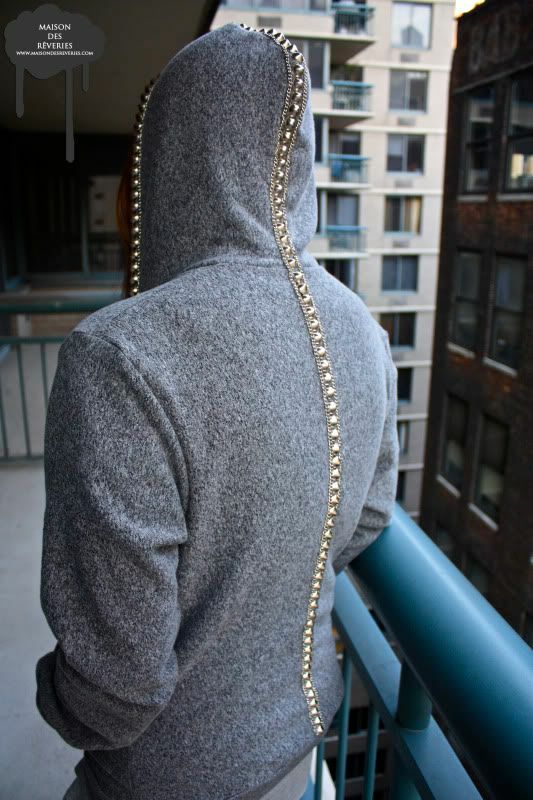 Step one: Using the middle seam of the hood as your guide, stud along those lines down the middle of the hood and try to maintain as straight of a line as possible. 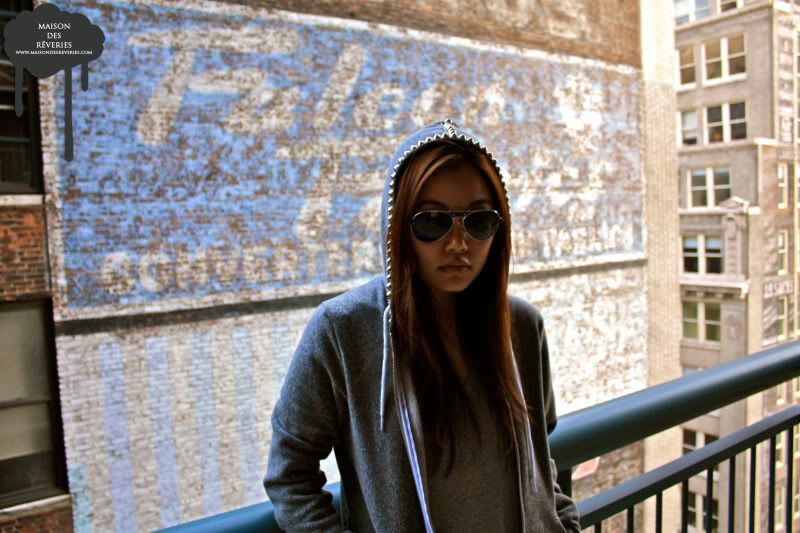 Step two: The inside of the hood should look something like this. 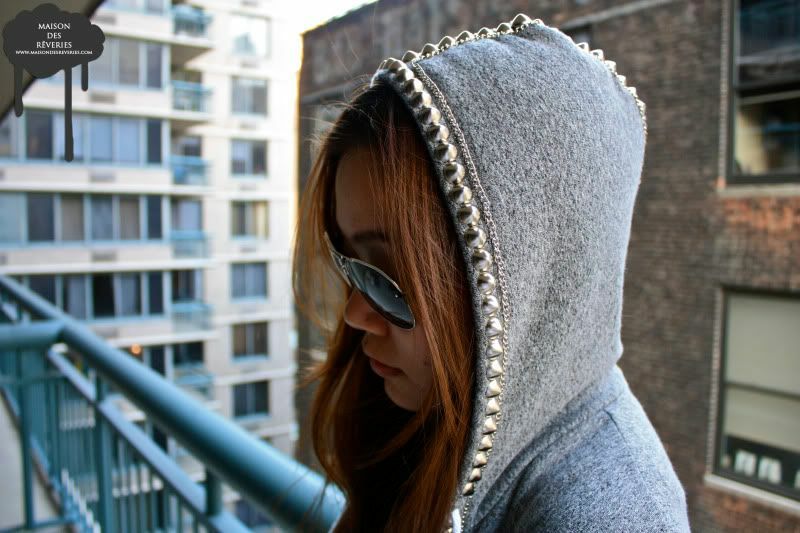 Step three: Stud along the sides of the hood that frame the face. 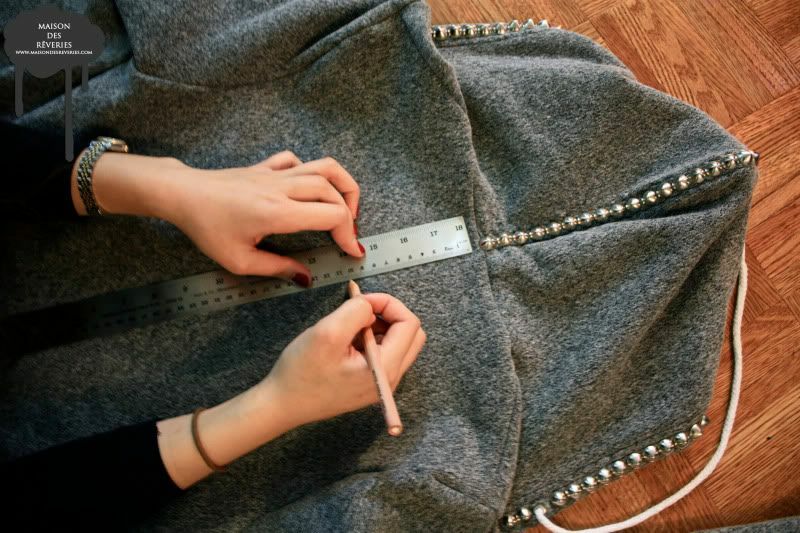 Follow the already sewn seams to help you keep a straight line. 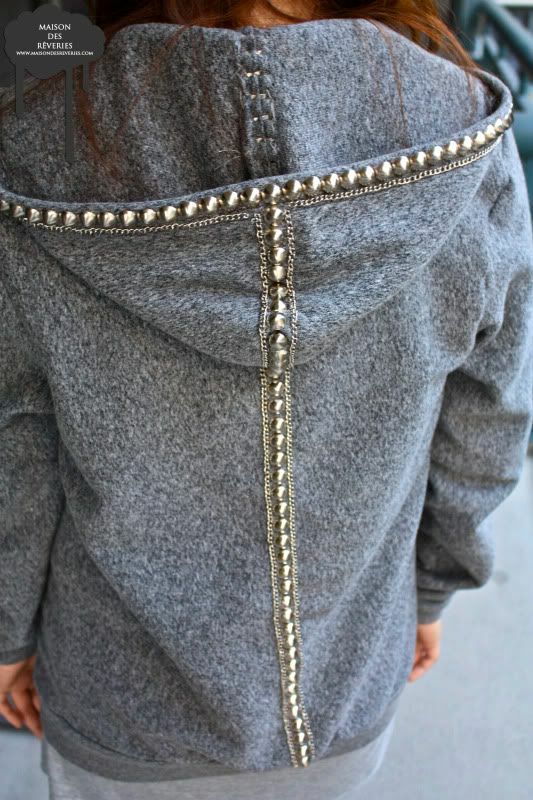 Once you have completed studding the hood, grab a ruler and either tailor's chalk or a chalk pencil and using each side of the studs on the hood as a guide, draw two lines that run straight down the entire back. These lines should form one long column. I would advise making these lines as visible as possible as they are imperative in being able to stud in a straight line. 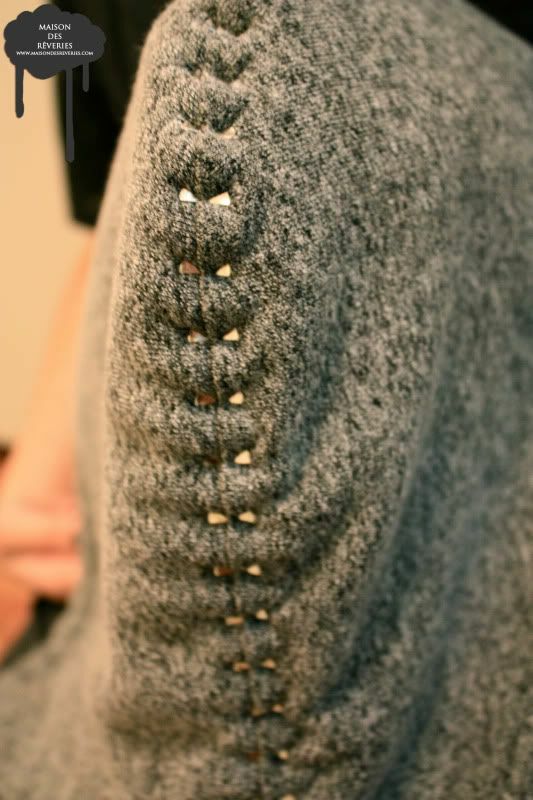 Step four: Using the column as a guide, stud inside those lines down the entire length of the back until you reach the bottom ribbing. 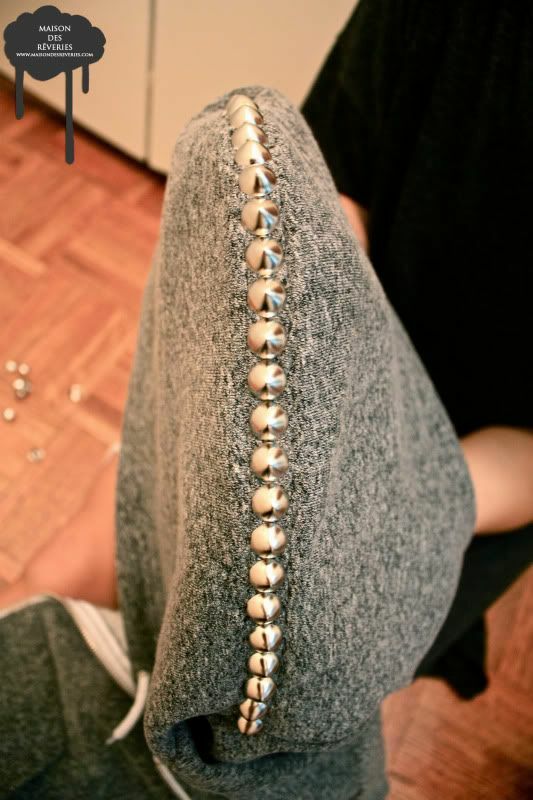 Step five: The chain should be sewn on to frame the studs. 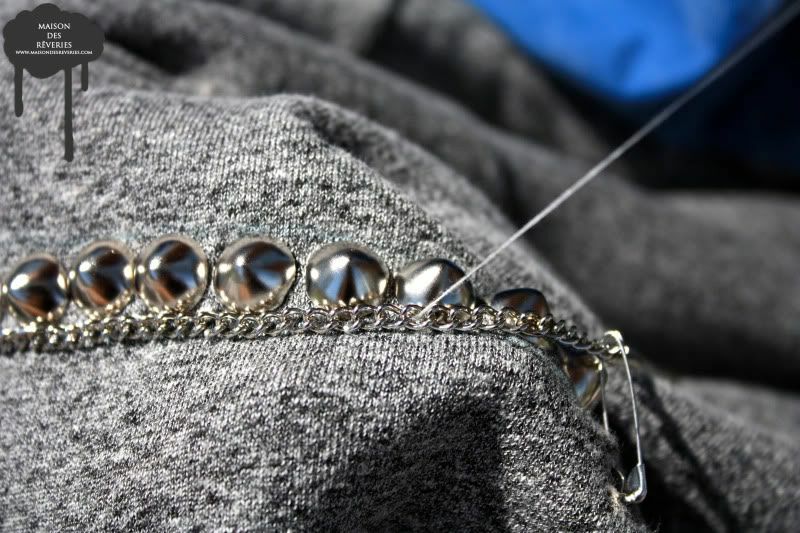 To sew on the chain, use a safety pin to hold the chain taut and flat as you are going along. 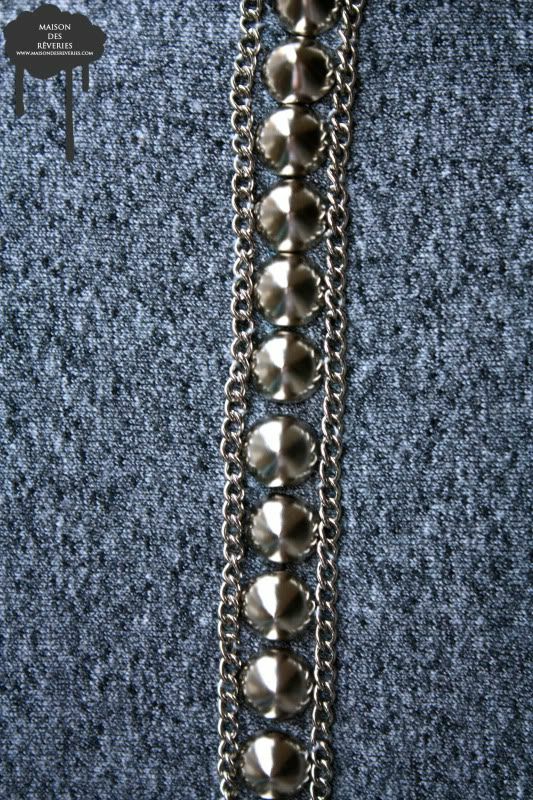 Try not to pin the chain too far down from where you are working because the chain will not stay taut and straight. 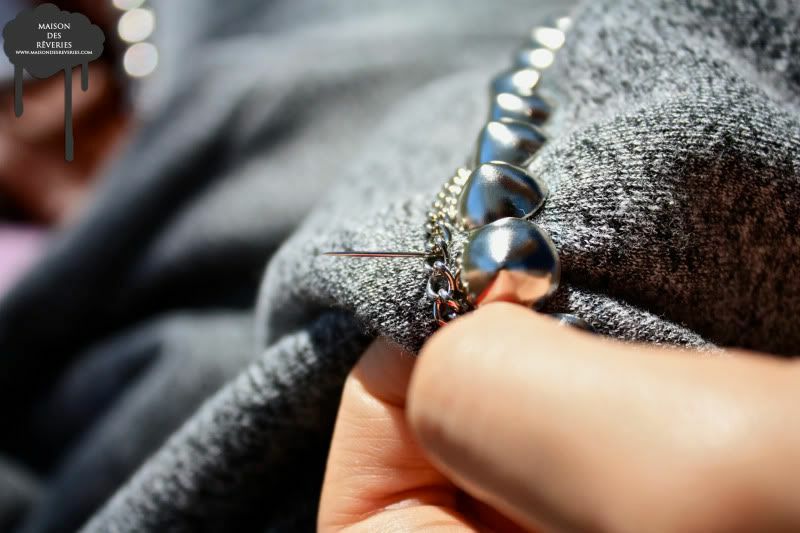 Step six: Poke the needle through the hoodie and thread it through a link of the chain. 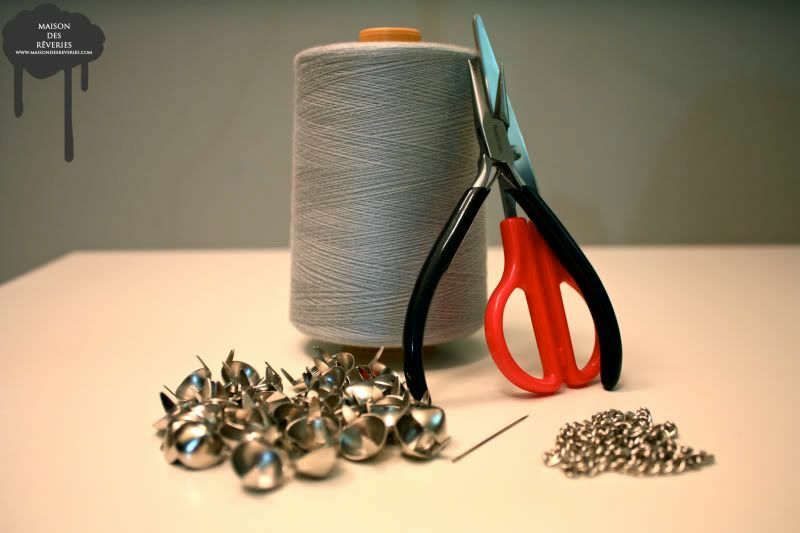 Step seven: It is best to sew down every chain for the first few links to get it going, and then you can sew just every 2-3 links. Step eight: When you are sewing the links, try to alternate from left to right as you weave in and out. 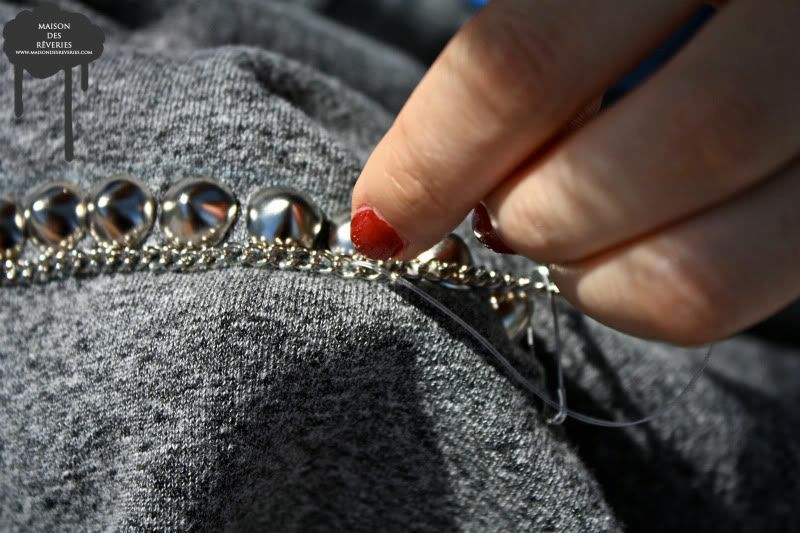 If you sew only to one side, the chain will flip over towards that direction because it has nothing holding it down on the other side. 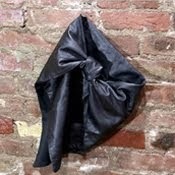 When you have finished sewing the chain down the hood, it should look something like this.